Media reporting of last summer’s riots has been heavily criticised in a damning new report, writes Marc Wadsworth exclusively for The-Latest. The weighty 10,000-word draft report, called Media and the Riots: A Call for Action, was written by top academic Dr Leah Bassel, a social scientist at the University of Leicester, for the Citizen Journalism Educational Trust and The-Latest.Com. 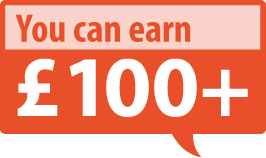 The report draws on a special conference organised by The-Latest.Com in November. Professor Gus John, who was a keynote speaker at the event, said much of the reporting of the disturbances was “simply disgraceful” and appeared to take the form of a “moral crusade” which was not colour-blind. Civil unrest started in Tottenham, north London, last August after the fatal shooting of Mark Duggan, a young black man, by police officers. More than 150 people from around Britain took part in the unique conference that brought young people from riot affected areas face to face with journalists, including Tom Parmenter, of Sky News, who produced a controversial TV report about looters. According to the new report, news media failed to report on the issues at the heart of the riots like poverty, government spending cuts that have closed youth clubs, deaths in custody and police stop and search that disproportionately affected young black men. Journalists, especially 24-hour news broadcasters, had to take some of the blame for fuelling the riots with coverage that showed how easy it was to loot, the report says. Conference participants believed that the voices of black business people who were affected by the riots were under represented in the mainstream media. It was also felt that they tended to portray the disturbances largely as a conflict of black people against white business owners. The black press, including The Voice newspaper, was praised for producing much more balanced reporting. 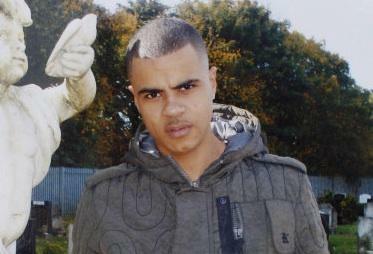 The news media’s misrepresentation of the facts surrounding the death of Mark Duggan was given as the most recent example of the negative role played by some journalists as a result of their close relationship with the police. 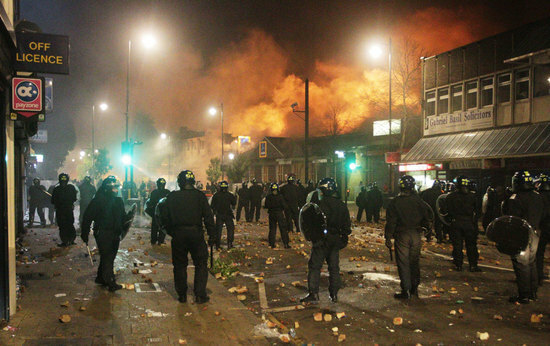 Duggan’s death sparked the unrest that followed in Tottenham and spread to other parts of England. Yet while conference participants saw challenges, they also identified the possibility for “big media,” citizen journalists, social media to work together effectively and for the voices of those involved to be heard in new and better ways. 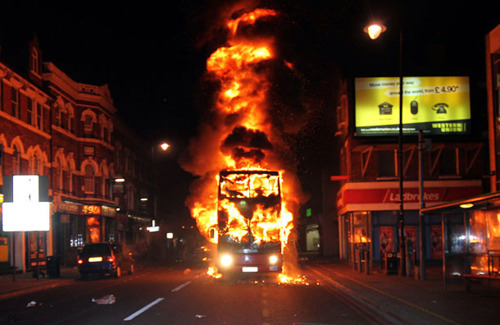 1 Response to "Media coverage of last year's England riots 'was disgraceful'"